....are some of the spaces that galvanize our interest. Let us assist you in bringing your project to life! Marcus the owner was great. Keep you posted n called what time he would be there n what his plans for the day. MFM is a top notch design and construction company. 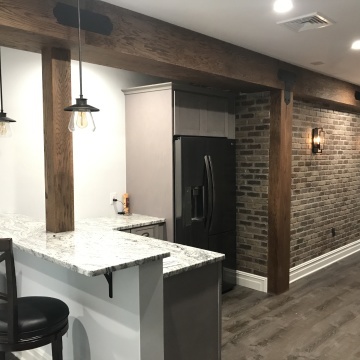 They recently remodeled our kitchen and we were thrilled with the entire process— from design, to execution, to final product! From the start, Marcus thoroughly listened to our wants and needs for our kitchen. He gave us ideas that we never dreamed possible for our small space, and put us in touch with a cabinet designer that further expanded upon those original ideas. We were able to maximize every available bit of space in our kitchen, without it feeling overcrowded. The contract he drew up was clear and organized, so we knew exactly what was going to happen next. 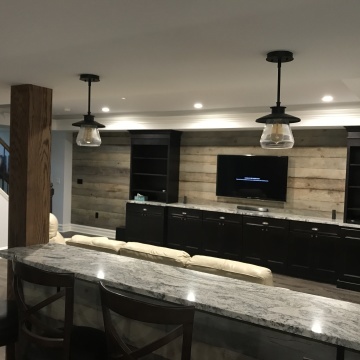 Communication was excellent throughout the entire remodeling process. Marcus, Jonathan, and Dan are all highly skilled professionals, effective communicators, adept problem solvers, and efficient workers. Our house is old, which means crooked walls and uneven ceilings. 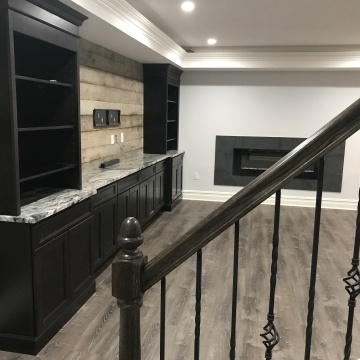 We are sure this presents unique challenges for the remodeling process, but the MFM guys were able to find creative solutions to the many idiosyncrasies our kitchen has and the end result is absolutely amazing! MFM goes above and beyond to make their clients happy. When there was an issue with two of our cabinets being delayed for delivery (through no fault of MFM), Marcus drove to the warehouse to pick the cabinets up himself. He knew that we wanted to have a party for our daughter’s birthday and if the cabinets didn’t arrive to our house on time, the entire process would be delayed and we would have to cancel our party (due to not having a functional kitchen). Marcus got the cabinets and he and Jonathan stayed well past regular working hours for several days to complete the renovations, so we were able to host our party as planned. The thought and care they show towards their clients is second to none. Not only are Marcus, Jonathan, and Dan amazing workers, but they are also friendly, respectful guys. We felt completely comfortable with them in our home and around our young children. They were on time every morning and left a clean and orderly work area at the end of each day. We are so thankful for our beautiful new kitchen and we look forward to using MFM for all of our future remodeling needs. We would recommend MFM 100%, without hesitation! Very professional and great attention to detail even on small projects! Marcus completed our kitchen ceiling and installed high hat lights. 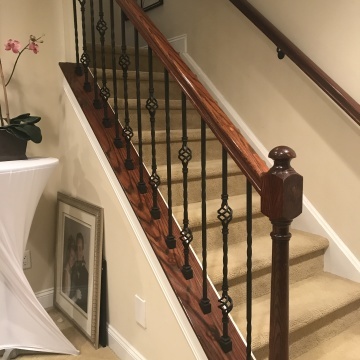 They performed an amazing job and provided very professional work. We would highly recommend MFM Design & Construction. We would definitely use them in the future. Thanks for a fabulous job! MFM was fantastic to work with. 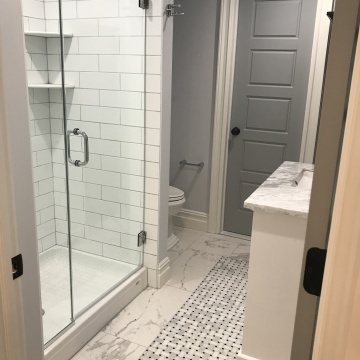 My wife and I have worked with numerous contractors over the years and when evaluating contractors to renovate our his/her master bedroom bathrooms, I immediately clicked with Marcus and his professionalism, his approach to our project and most importantly his willingness to work with our architect and tile designer/supplier earlier on to ensure success. 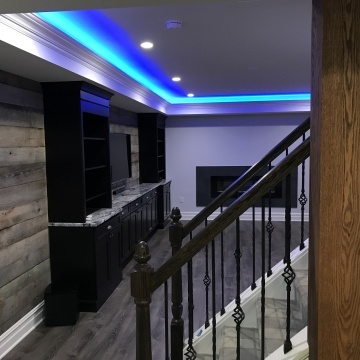 Most importantly, over the course of our job there were numerous items that arose that could have never been foreseen and MFM always thought through the best approach, consulted us and our architect/designer and never tried to "hide things". We wanted perfection in our job and we were not disappointed. 100%. working with all the designers and architects and our painter...flawless execution that I have not seen from any other contractor. I think what Efi and I appreciate the most is your passion to build and your focus to get things correct. I wish we had another project for MFM! The timing, the professionalism, the FINAL PRODUCT! Yes the timing of the project. I was very pregnant and wanted to be done before the arrival of teh baby and they made it happen. I have worked with them before and unlike other contractors they are VERY responsive and VERY professional. They get things done when they say they will and go above and beyond to give you a great experience. Not to mention they do a fantastic job. MFM did an exceptional job remodeling our out dated kitchen. From planning through completion, they were professional, courteous, organized, and most of all their quality of work was stellar. Hiring MFM was the best decision we made! They were knowledgeable, professional, easy to work with, detail oriented, and they left the job site clean every day. 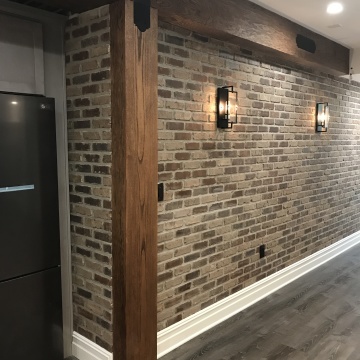 Marcus and the team did a great job with our basement renovation. Very professional and extremely detailed with their work. We could not be happier with the finished product! They did a kitchen for me and the kitchen came out better than either of us could have imagined. I highly recommend MFM. They were organized and did a great job. The contract was very specific and laid out the entire process, start to finish. Timetable that was promised was observed. Any unforeseen problems were discussed and handled to my satisfaction! These guys are really terrific to work with, I highly recommend them! Customer service and the quality of the work were excellent. 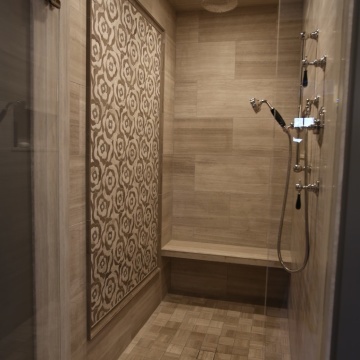 I was completely satisfied with my experience with MFM Design & Construction. I enjoyed working with them. MFM Design & Construction fulfilled their promises to me. They were on time. The final result exceeded my expectations. Very professional. Gave us suggestions that helped in planning our new kitchen. Excellent quality of work. 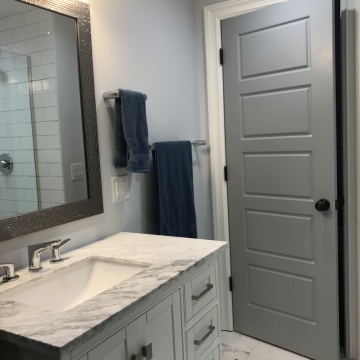 MFM has finished a basement, remodeled a kitchen and our master bath. Their level of detail and expertise rises above many other contractor's that we had interviewed. I would not use anyone else to do any other projects. Even long after the project is done, they have stood by their work and have been attentive to questions that we have had regarding products used. They have increased the value of our home tremendously! Naturally projects evolve and if we had changes, we openly spoke about them well in advance. After seeing their high level of work and detail, we knew they would be the ones for us. Yes they did and clearly communicated additional cost, before the additional work was done, so decisions could be made. There was no surprises in there invoice. They are very humble and don't talk enough about the pride they put in their work. You can see their pride in their work. When we first started talking they took notes and listened. Then they responded with additional suggestions and ideas. They worked with you.They may not be the cheapest, but they do a lot behind to wall to do the job correctly. When I walk into my kitchen it looks just as good as the day they finish. I have seen other kitchens done around the same time as mine by other contractors, and I am glade I didn't use them. You can see the poor craftsmanship cracks it the walls and ceiling crown molding separating because they were calked. I don't see any of that in my kitchen. The whole time they were doing the job we never felt uncomfortable that they were in our house without being home. Straight up honest craftsmen looking to deliver a quality finished product. We had learned about MFM through friends. Having had the opportunity to look thru the MFM photo portfolio of completed works at the onset, gave us clear indication that we would be dealing with quality craftsmanship. Other estimates were in the ballpark, but there only one choice as far as we were concerned. I was most satisfied with the cost and with the fact that MFM Design & Construction came immediately after we called. This was a new experience for us, so our expectations were pretty basic; Overall we are highly satisfied and would recommend and use MFM again. Craftsmanship & quality of work; our kitchen came out fantastic. 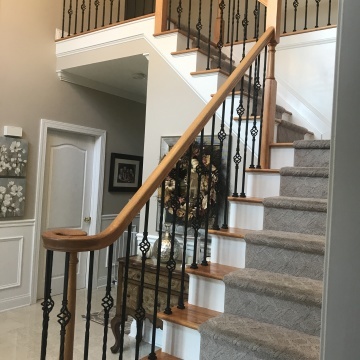 We were very pleased with the high-quality home remodeling job done for us by MFM in the summer of 2011 and found the following practices contributed to that satisfaction: 1. Cusotmer communications: easy access to MFM during construction via numerous methods ... in-person, e-mail, phone, easel in home to leave written messages.2. Planning - customers' needs built into design, design requirements addressed, permits acquired.3. Good documentation: designs, estimates, work permits4. MFM has very good cooperation, coordination, supervision of work by other tradesmen (electrical, plumbing, insualtion, sheetrock, painting).5. Good cooperative relationship with suppliers - to rememdy damaged parts6. Quality of work: skilled and efficient7. Proactive - they suggested opportunities for improvement of plan (for example, convert a window to a door for more sensible access to yard). Flexible with plan changes.A co-worker recommended MFM and I'm so glad I went with them. 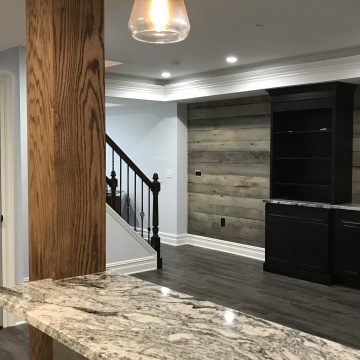 We were most satisfied with the quality of their work and their attention to detail as well as the renovation being completed in the agreed-upon timeframe (4-6 weeks) during the summer of 2011 We had no issues to deal with. If anyone I know is looking for a recommendation, I always let them know about MFM Design & Construction.